In a strange room you must empty yourself for sleep, and before you are emptied for sleep, what are you? And when you are emptied for sleep, you are not, and when you are filled with sleep you never were. I don’t know what I am. I don’t know if I am or not. Jewel knows he is, because he does not know that he does not know whether he is or not. He cannot empty himself for sleep because he is not what he is, and he is what he is not… And since sleep is is not, and rain and wind are was, it is not. Yet the wagon is, because when the wagon is was, Addy Bundren will not be. And Jewel is, so Addy bundren must be, and then I must be, or I could not empty myself for sleep in a strange room. And so, if I am not emptied yet, I am is. Very similar to bad Kerouac (i.e. Big Sur). "Sleep is the most moronic fraternity in the world, with the heaviest dues and the crudest rituals. It is a mental torture I find debasing. ... No matter how great my weariness, the wrench of parting with consciousness is unspeakably repulsive to me. 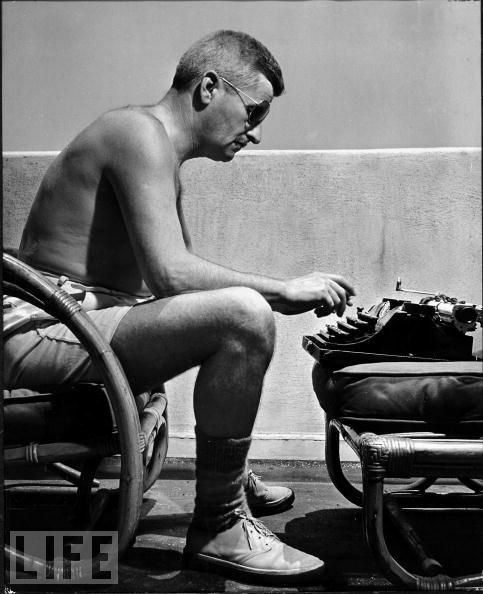 I loathe Somnus, that black-masked headsman binding me to the block...."
'Seems Faulkner was not the only literary gent who had trouble with being "emptied for sleep." Scott Fitzgerald has an interesting description of his own insomnia, in 'The Crack-Up'—which book I highly recommend, by the way: it's an anthology of brilliant nonfiction pieces, some of them co-written with Zelda. P.S. Your website does not play nice with my iPad2: if I happen to type more lines than will fit in its text field, and then do a Preview, it locks up the field so that I can't scroll down to the extra lines—neither to see them in the Preview nor to edit them afterward.